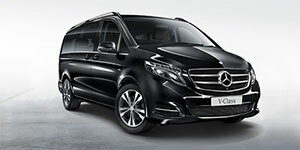 This vehicle is ideal for groups whether large or small, known for being spacious and comfortable the V-­Class feels motionless on the road, it is a fusion of high-­‐power and comfort despite outwards appearances. With a mini fridge and amenities this is also perfect for longer journeys where you just want to sit back and relax. This service is like a home away from home, its spacious and comfortable and offers privacy like no other. Its suitable for airport pickups, drop-­offs, events…. We could go on, it really is a versatile vehicle designed with luxury in mind. Airport2Lodge is the trading name of Airport2Lodge Ltd. Registered in England & Wales. Company Registration Number 6980845. All Rights Reserved. So that we can help you quickly and effectively, please provide us with as much information as possible.